Our professional Skip Tracers in Austria will solve your problems! Trust us and create strategy together! 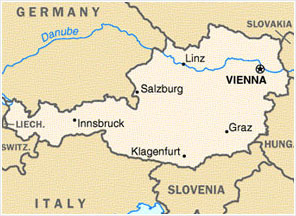 Our skip tracing services in Austria have the specialty in locating the high level of debtors who has gone missing after having their inability in paying the debts or tracing witnesses needed for wide variety pending court cases where the absence of the individual have halted multiple processes and the person is being unidentified even after repeated attempts. Our Skip Tracers in Austria have the potential to offer the best skip tracing services for the completion of process service in all such occasions where this process can’t be conducted due to the want of right locations to carry out the mission of serving legal papers. We go beyond the scope to manage our resource to give best results in all these conditions. Skip tracer in Austria endure to offer discreet operations to get the location of an individual or a business corporate. We have an attempt to connect with you, so feel free to communicate with us for any kind of query or suggestions. Kindly contact us on info@austriaprivateinvestigators.com for your requirement respectively.